Below is the transcript of the Netflix, Inc. (NASDAQ:NFLX)’s fourth quarter 2014 earnings interview, held on January 20th, 2015 at 5:00 p.m. EST. Philippe Laffont, billionaire Carl Icahn, and billionaire Andreas Halvorsen had the largest positions in Netflix, Inc. (NASDAQ:NFLX) among the funds tracked by Insider Monkey. 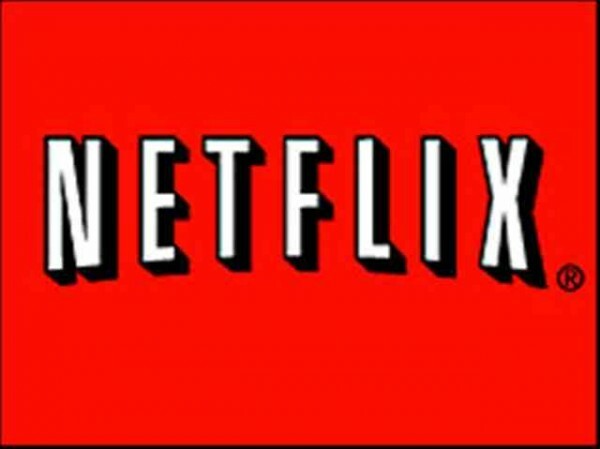 Netflix, Inc. (NASDAQ:NFLX) is the world’s leading Internet television network with over 57 million members in nearly 50 countries enjoying more than two billion hours of TV shows and movies per month, including original series, documentaries and feature films. Members can watch as much as they want, anytime, anywhere, on nearly any Internet-connected screen. Members can play, pause and resume watching, all without commercials or commitments. Hi! This is David Wells, I’m the CFO of Netflix and I’m welcoming you to the 2014 Q4 Earnings Interview. Joining me today is Reed Hastings, our CEO and Ted Sarandos, our Chief Content Officer is joining us from Miami at the National Association of Television Executives Meeting. Also at that meeting is Michael Nathanson and with too many conflicts so replacing his role interviewer today is Rich Greenfield, analyst from BTIG and joining him is Mark Mahaney from RBC. We will be making forward-looking statements today. Actual results may vary. I’m gonna turn you over to Mark who has our first question. Thanks David. Question to start off for Reed. You’ve talked about an S-curve and your ability to get to 60 to 90 millions subs in the US. You beat the sub numbers for the quarter but there’s a year-review reduction in net sub adds, so, walk us through what your latest thinking is on the ability of Netflix to reach 60 to 90 million US subs. Well, it’s looking very good. We’re at 39 million in the US adding 5 plus million a year, so the trajectory is great. If you step back and you say is internet video going to be in every home in America in 10 years, that’s a pretty clear yes. So, tons of potential there and we’re very excited about just continuing to improve our service. This is a question for Reed. When you think about the international growth profile, the comments that you made in terms of the cadence of market launches, basically saying that every single market would be launched over the course of the next two years. It was a pretty big move from what I think we were expecting and what I think the investors where expecting, was there something that happened when you looked at the success you were having overseas, whether it be France, Germany, Latin America? Did something happen to change how fast you plan on rolling-out the rest of the world to get you over the next two years? Reed Hastings, CEO, Netflix, Inc.
Yeah, Rich, there’s two real drivers. One is the success that we’ve seen from Argentina to Finland. To have all of our first wave of markets from Canada, Latin America, Nordics, Netherlands, UK and Ireland — be profitable together as a group. It’s just a tremendous accomplishment. And with the growth rates that they’re seeing, it is going to be very significantly profitable going forward. So that’s been a big driver for us. And then I think Ted really had the vision to figure out how to start to get global rights for some of the content by moving up the food chain. And we’ve been pushing on that dimension to be able to get the global rights where we don’t have to go country by country, across 200 countries, but instead provide the producer upfront money — guaranteed money — and get great access. So Ted, do you want to add to that? I think our success this year with Better Call Saul and Gotham where we had moved up the process license for all of our operating territories and our future operating territories, directly with the producers of those shows. So, Better Call Saul directly with Sony and Gotham directly with Warner Television, instead of having to go country by country and piling up those deals and lining up windows, this enables us to make the service, the selection far more global for viewers around the world who increasingly know exactly when these shows began and are hungry to see them as soon as they can.